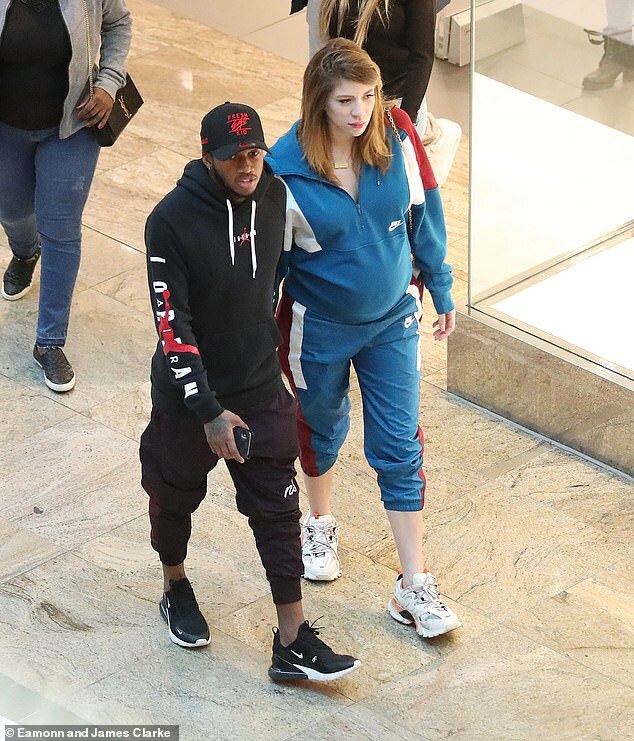 Manchester United midfielder Fred was spotted shopping in the city on Monday as his team-mates prepared in Dubai for Sunday’s crunch clash with Tottenham. Fans feared it could be a sign that the Brazilian was heading for the Old Trafford exit during the January transfer window. Fred has struggled to make an impression following his £52 million summer move from Shakhtar Donetsk. And he was criticised for an underwhelming display in Saturday’s 2-0 victory over Championship strugglers Reading in the FA Cup. But it’s understood that Fred been given permission to stay behind and work at Carrington because his wife Monique Salum is expecting their first child. Fred showed his joy at the impending arrival after scoring in the 1-1 draw against Wolves in September. After watching his shot nestle in the bottom corner, Fred made a beeline for the ball and placed it under his shirt before sucking his thumb. ‘I was really happy,’ he told MUTV. ‘I even had the chance to dedicate it to my son that will be born soon. This goal was really important to me and I hope is the first of many.